Ok, I really don’t love glitter… but I do, it’s kind of a love/hate sort of thing. Pro : It’s gloriously glam, and a really cheap way to add sparkle! Con : The fact that every time you touch it, it ends up all over your face at some inconvenient time later that day (or week!) is annoying. But at Christmas, that same annoying quality becomes festive and fun… go figure, right? 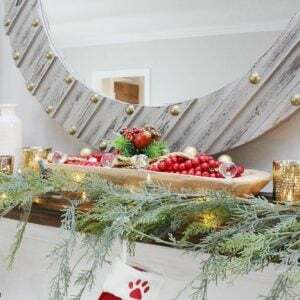 Nothing says holiday like glitz and glitter, so we went out and found our favorite DIY Christmas decor projects with glitter to make your holiday happy! 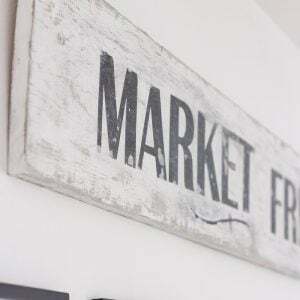 All of these are easy seasonal DIY projects that can add that little bit of sizzle that your old Christmas decorations are missing. 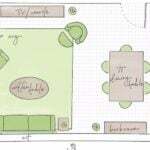 Our first project is from ‘Two Sisters Crafting‘. 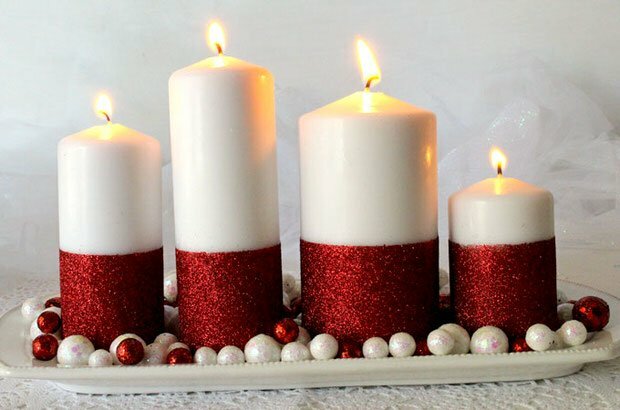 These glitter candles are an inexpensive DIY Christmas decor project that you can do in an hour. I would love to try this with some rose gold glitter! 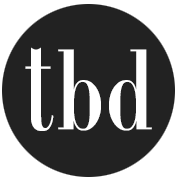 Simple to follow tutorial. 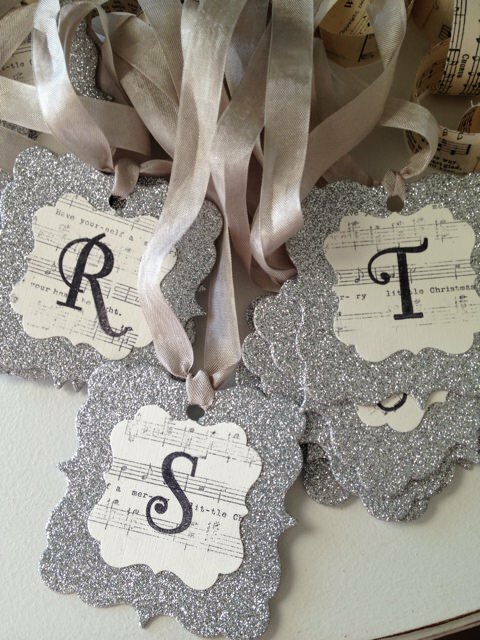 These vintage glitter letters were a simple project from Valerie at ‘Linen Chic‘. 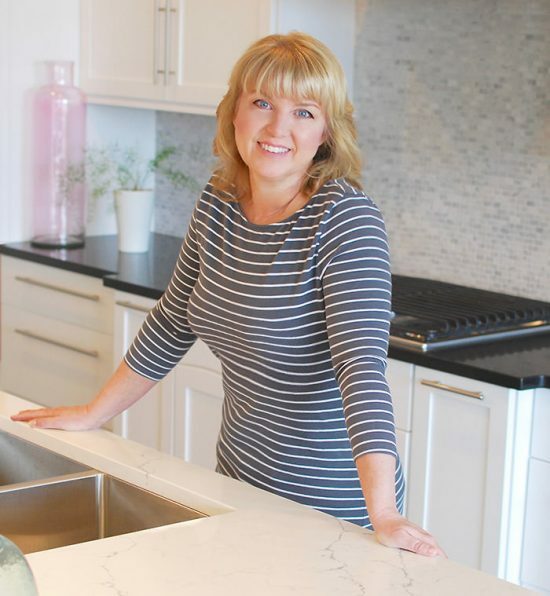 You could do several variations on this holiday project to personalize it, and she even tells you where she got the supplies! You HAVE to love these DIY glitter ornaments from ‘A Pumpkin and a Princess‘. 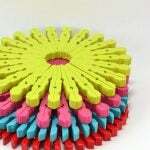 Great tutorial with photos, and she shares her secret for the best type of glue to use. Lovin’ on these Christmas colors! 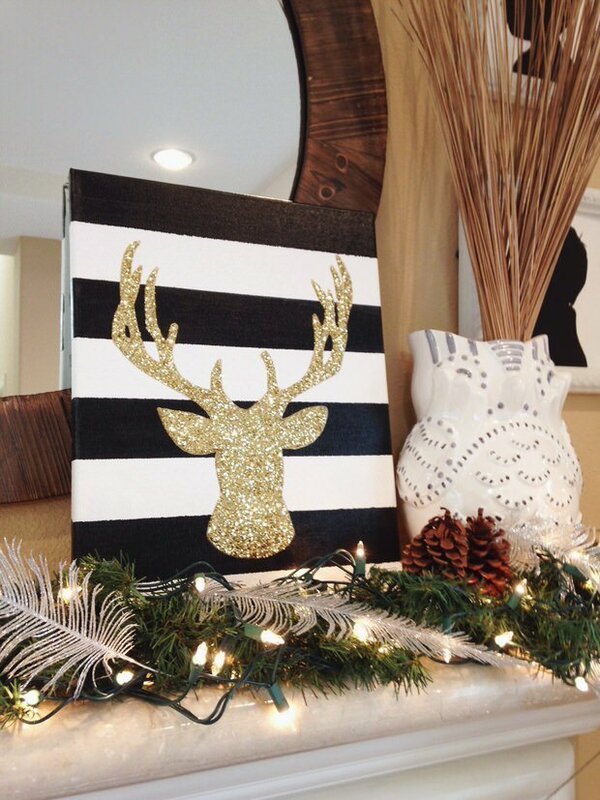 This DIY glitter deer head tutorial from ‘Hey Lauren Rene‘ even comes with a printable for the deer head template. And it has great detailed instructions for this DIY Christmas decor that anyone can make! 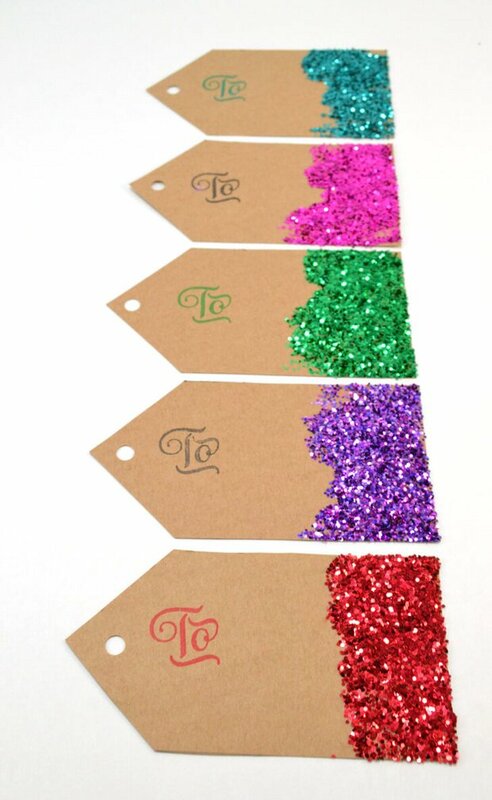 ‘Dream a Little Bigger‘ did these DIY glitter gift tags that will make your presents pop. The bright colors are amazing! Another easy tutorial for this Christmas decor. 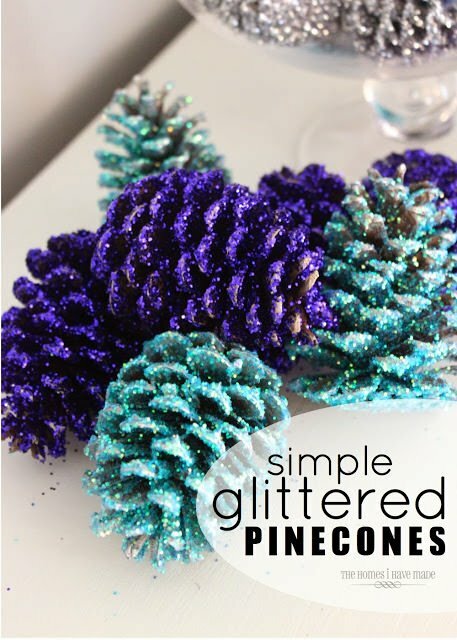 Megan at ‘The Homes I Have Made‘ created these glittered pinecones, and we think they look just like expensive ones from Pottery Barn! Would you choose colors? Or silver and gold? This next Santa hat cone tree project is a video tutorial from Gillian Bower on ‘YouTube‘. The whole video is full of great DIY Christmas decorations, but if you want to skip through to the glitter loving Santa hats, go to 3:45 in the video. 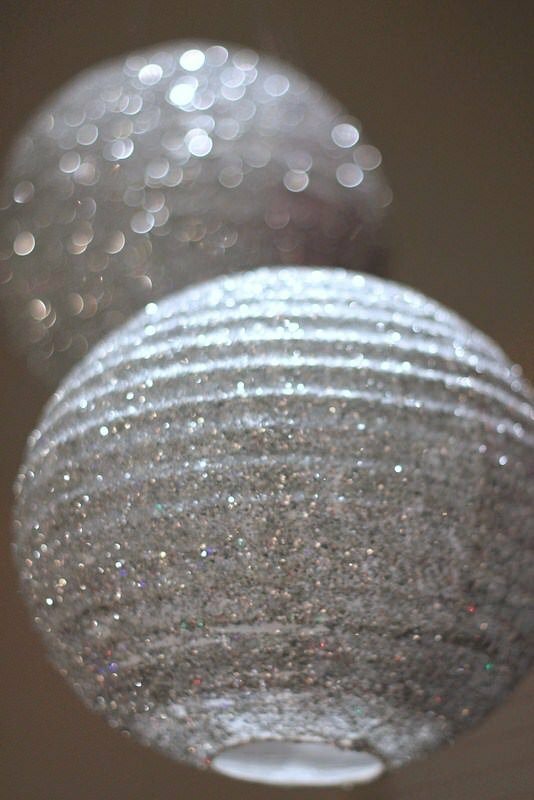 These sparkly lanterns from ‘Two Delighted‘ would be perfect for a holiday party! We like the paper lanterns from Ikea, but you can find them at most craft stores now too. Consider lighting them with LED firefly lights! You have to scroll a little down the page before this tutorial starts. 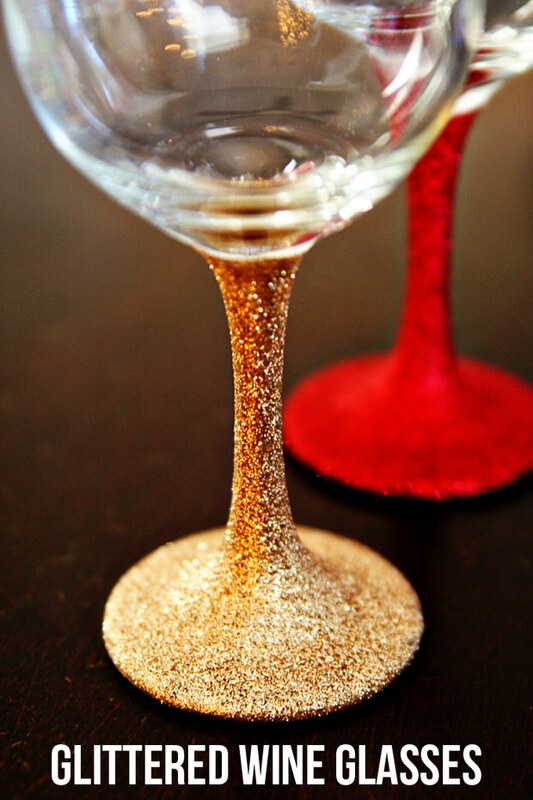 Since we are wine drinkers, and love to give wine at the holidays, these DIY glittered wine glasses were a perfect project for us! From ‘See Vanessa Craft‘. I would spray them with a clear sealer after they dry so I could at least hand wash them. 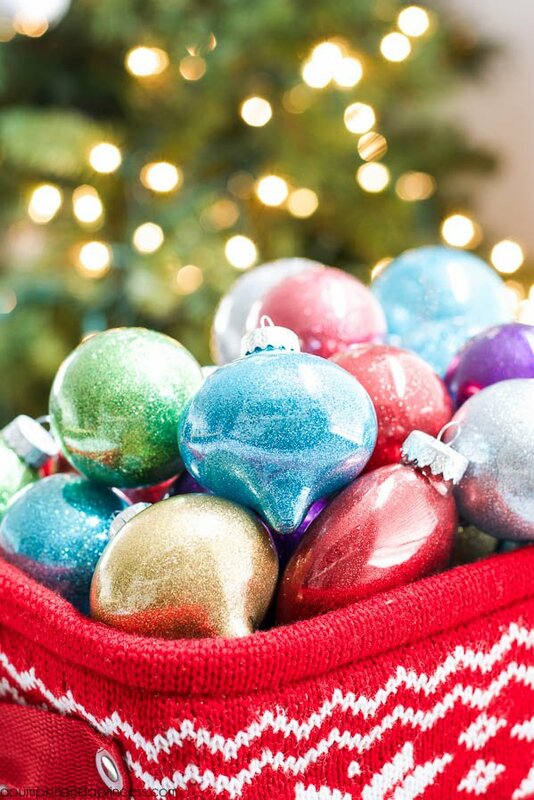 You could also use these as DIY Christmas decor by filling them with small, sparkly ornaments. 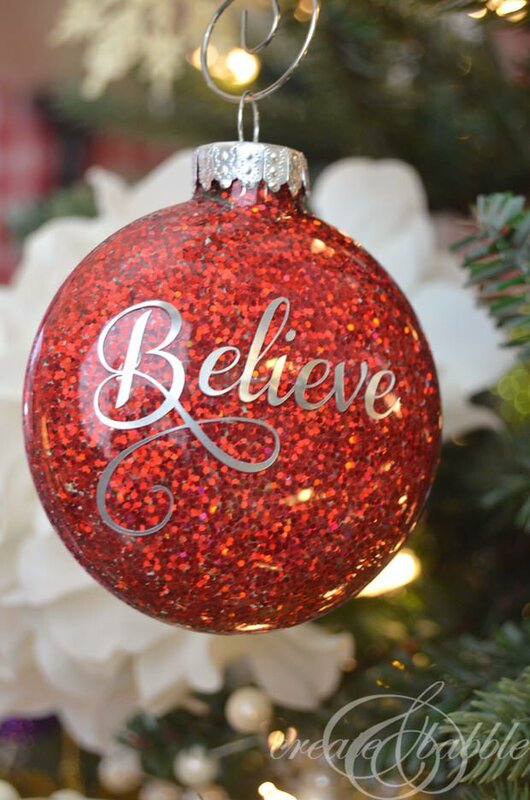 Last we have these DIY glitter Christmas ornaments from ‘ Create & Babble‘. They definitely have us “believing”! Now go make something sparkle with DIY projects with glitter! Enjoy our glitter and sparkle DIY Christmas decor?? Thought so! Visit our DIY mason jar luminary project for more shimmering holiday fun! Or try our 15 DIY Snow Globe Projects!